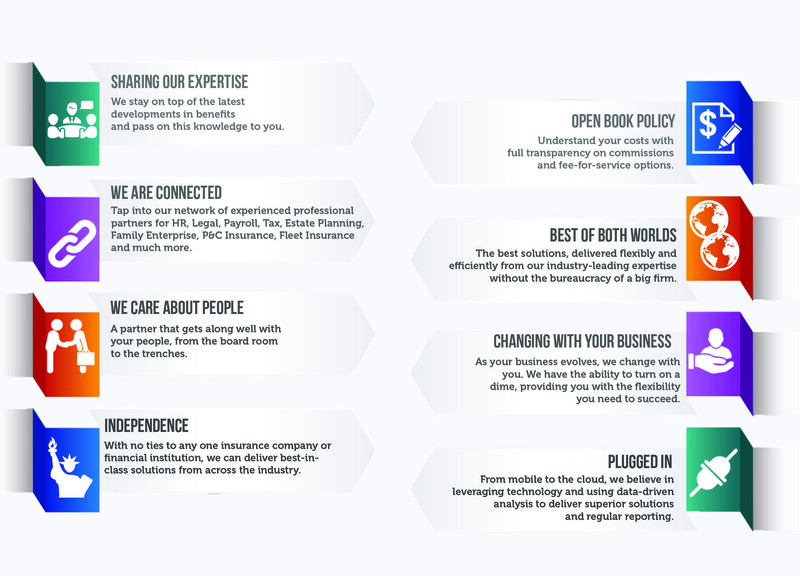 At Dent Benefits Consulting, we are 100% committed to listening to your needs, understanding your problems, and delivering solutions that make a meaningful difference to your team and your business. When you engage Dent Benefits Consulting, you’re tapping into the experience and knowledge of our dedicated team of benefits professionals. We’re committed to prompt, personalized service that goes the extra mile to exceed your expectations. It’s all about friendly, unrushed and effective support for your people and administrators. We answer the phone within three rings and respond to emails and messages the same business day, delivering solutions that work for you. We treat your money like it’s ours and always aim to provide the best possible value. With our open book policy we offer complete transparency, so you always know how much you’re paying and how much we earn from every plan we offer. After all, there should be no secrets between partners. And that’s what we aim to be – your partner for success. As a boutique brokerage, we are not tied to a specific firm or plan provider, allowing us to source best-in-class products to meet your unique needs. In this way, we ensure that you get the best possible solution, with no limits on which provider it comes from. We see every client relationship as a long-term partnership. As your partner, we’re committed to providing the right information at the right time, throughout the benefits lifecycle. That means we’ll be there to help you implement your plan, monitor and manage your claims experience, and provide support during renewal negotiations.